You can’t go wrong with a run on the trails of Mount Victoria. With easy access and a great trail network, this is one of the best road-to-trail options within 5 mins from the busy Wellington CBD. Mount Victoria or Mt Vic, as it is known to many of local runners, is simply not to be missed. In Spetember 2005 Mount Victoria was the location for the World Mountain Running (WMR) Championships. Jonathan Wyatt won the men’s race and Kate McIlroy took the women’s title, both athletes representing New Zealand. Jonathan Wyatt, who is originally from Wellington, is 7 times WMR champion and is currently based in Italy. Kate McIlroy is based in Wellington. One of toughest cross country races in the local Wellington harriers club calendar, the Vosseler Shield, is held on the trails of Mt Victoria every year. The first Vosseler Shield race took place in 1923. The trophy was donated by Fred Vosseler. There is a permanent orienteering course on Mt Vic. Check out Wellington Orienteering web site to download the map. Mt Vic is also a good place to hide if you were being hunted by Nazgûl sent by the Witch-King of Angmar. Distance: About 10 kilometres, with plenty options to add extra distance. Elevation: About 350m up and the same down; the summit with the Lookout is at 197m. Difficulty: Beginner to Intermediate trails with a rooty section. There are some additional advanced sections of trail on Mt Vic, so it’s really up to you how steep you want to go up and how steep you like your downhills. Estimated time: Anywhere from 50 minutes at high speed; to a two hour meander. Start and End point: There are in fact many possible start and end points for a run in Mt Vic. The loop outlined here starts and finishes at Freyberg Pool – a convenient meeting spot and within a few minutes from coffee and cake and or Beer. Directions: Start from near Freyberg Pool and head towards Oriental Parade beach and past Beach Babylon café on the other side of the road. You will have to cross the road on to the right side before the Grafton street bus stop, and look for a sign outlining the trail network. From here head up the concrete path that zig-zags its way to a series of apartments. Turn right at the top, and continue on the gravel path until you drop slightly into a trail junction. Just continue straight, climbing toward where you see some steps heading up. The next bit is a bit steep but eventually it will flatten out, so give it your all. Continue on up and you’ll come to the Telford street climb where the path goes sharply up to end at Palliser Road. Take a breather and cross the road. You’ll see the sign post ¨Southern Walkway¨ and some wooden steps, this is where the trail continues. As you climb the steps and continue you’ll notice a steep trail that goes up. Just ignore it and watch your step as this part is full of roots. Enjoy the softer ground while you run along the side of the hill. You will soon pop out to a small clearing with another steep trail immediately to your left. Ignore that too, and just go right across (or straight) and you’ll find a single trail that goes somewhat parallel through the trees but slightly uphill, eventually coming out to the top at a grassy clearing with another sign. From here you can choose to go straight up to the Lookout, or continue your meander on the lower trail towards Alexandra Road by passing the summit trail and heading towards the Zoo. You’ll have a great view of the city as you run towards the south, and get a glimpse of the South Coast and the Airport. You’ll pop out to a grass field. Turn left and cross the field along the edge to find the trail on the other side. If you head to the right, this trail will drop you down to the road, which you will cross to continue on the path. Follow this trail alongside the road until you come to a cross roads. Turn left as you drop into a dip, then drop down into the Hataitai velodrome. At the northern end of the Velodrome take the single track that’s next to the power sub station and zig zags through the trees back up to Alexandra road. Now you are ready to take the main trail all the way to the top of Mt Vic. You would have done about 7 kms by now. Go along the ridge all the way to the top of Mt Vic and enjoy the panoramic view of Wellington and the coast line. 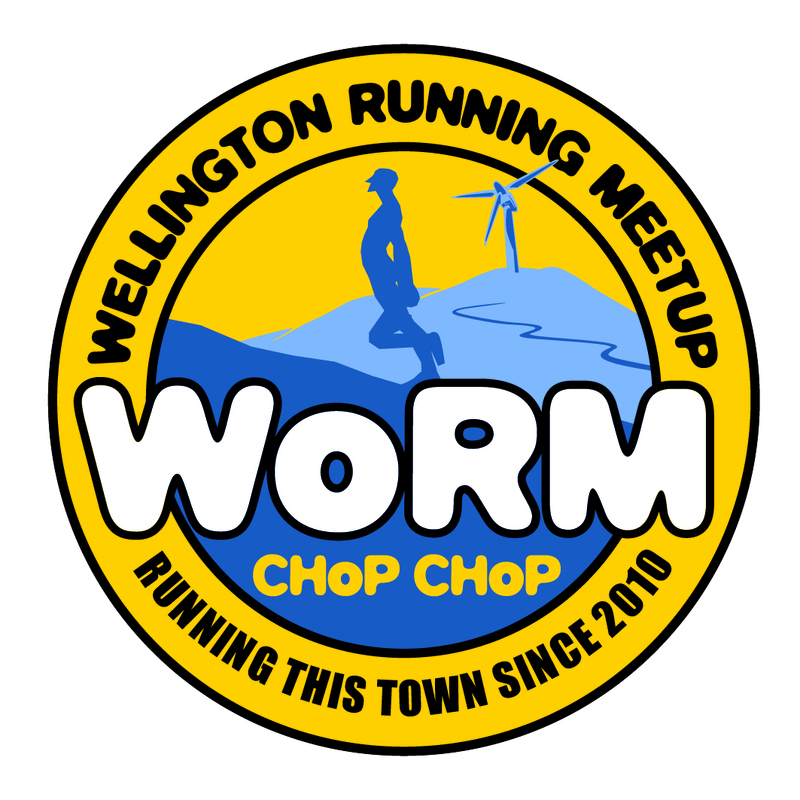 If you happen to be up there on a Tuesday evening at around 7pm, chances are you’ll be surrounded by a big group of cheerful runners from the Wellington Running Meetup Group. The Lookout is the intermediate meeting point of their “Tuesday Spectacular Regular” run, which usually ends with a pint at Mac’s Brewbar. Getting back into town is pretty easy, just take any trail/road combination that heads down to Oriental Parade and you are back in the city! Given you are potentially starting/finishing this run in the CBD, you’ll have plenty options for coffee, beer, cake or ice-cream. In terms of more elemental needs, you are close to civilization, so there are a number of toilet and water station options as well. The closest cafes are in the Freyberg Pool area. If you are craving for a healthy juice or a quick take away coffee, visit Bernie’s right at the Pool entrance. If you want a shelter and still enjoy the proximity of the sea, check out Tug Boat cafe just behind Freyberg, or Vista Cafe across the road and to your right. For an ice-cream, pop into Kaffee Eis or Carrello Pizza Gelato Coffee!